Amber and her two friends only attend the shuffleboard tournament at the senior center to support their neighbor, Betty Jenkins. Imagine their surprise when they discover that three boys from their class are junior volunteers there. Certain that anything three boys can do three girls can do better, they sign up to be volunteers as well. What starts out as good-spirited rivalry turns ugly as each group tries to outdo the other. After several warnings from Mrs. Snow, the volunteer coordinator, the two groups resort to sabotage. Will this be the end of the junior volunteers or will they figure out a way to work together? Maybe the seniors have a few tricks of their own to help smooth out this rocky start. 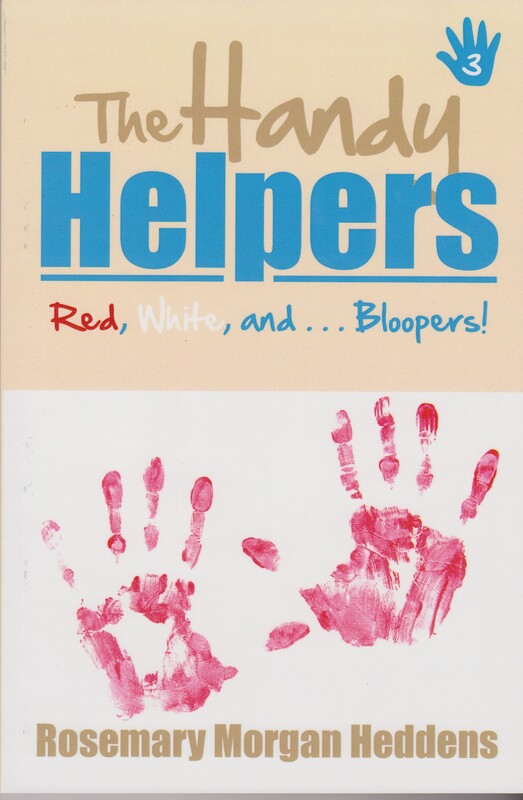 The Handy Helpers: A Rocky Start is the first in The Handy Helpers series of juvenile fiction books and was published in September of 2013. While Melissa is laid up with the chicken pox, Laura and Amber meet Doris Duncan’s granddaughter, Beth Anne, who has Down syndrome. They invite Beth Anne to take Melissa’s place as a volunteer at the senior center. When grouchy Mrs. Henry breaks her hip, the girls are called on to lend a hand. Laura and Amber reluctantly agree and take Beth Anne along. Though she’s afraid of Mrs. Henry at first, Beth Anne soon becomes her companion, even helping Mrs. Henry get out of her wheelchair. In the meantime, Melissa’s jealousy comes into play as Beth Anne asks to become a permanent member of The Handy Helpers. The Handy Helpers: Seven is a Perfect Number is the second in The Handy Helpers series of juvenile fiction books and was published in April of 2014. It’s summer and all Spike wants to do is go fishing with his friends. But his parents keep loading him up with chores. To make matters worse, his sister Jennifer’s boyfriend, Todd, seems to be making it his personal mission to ruin Spike’s summer. Spike fights back in his usual way–with sneaky pranks. While trying to get even with Todd, Spike accidently pranks the mayor. Ordered to do community service, Spike thinks his fun is over. That’s when a new adventure begins with helping Gus build a forest trail and ends with a daring night rescue of two small children from a forest fire. The Handy Helpers: Red, White, and . . . Bloopers! is the third book in the series, published in November of 2014. The Handy Helpers are excited about going to summer camp–that is, everyone except Beth Anne. Her parents want her to go to a free camp for children with disabilities. Beth Anne begs them to let her go to camp with her friends. Finally her parents admit they don’t have enough money to pay the camp fees. When the Handy Helpers offer to help Beth Anne raise the money to go to camp, the problem seems solved. So why has Beth Anne suddenly changed her mind and wants to go to the special camp after all? The Handy Helpers: Not a Happy Camper is the fourth book in the series, published in October of 2017. COMING SOON! Book Five: No Burping–No Slurping! It’s a new school year and the Handy Helpers are excited to be back. As fifth-graders, they are the leaders of the school. But they have challenges to face–new classes, new teachers, new friends, and a new cafeteria lady, Mrs. Meniere, or as the students call her, Miss Manners. It doesn’t take Miss Manners long to ruin their favorite part of the school day–lunch! Can the students figure out a way to make her lighten up, or is their lunchtime ruined?